I’m not sure if it’s because we have a lot of road works happening near our house, along with a lot of big buildings going up, but my 3 year old has been obsessed with all the cranes and trucks and diggers that she can see. 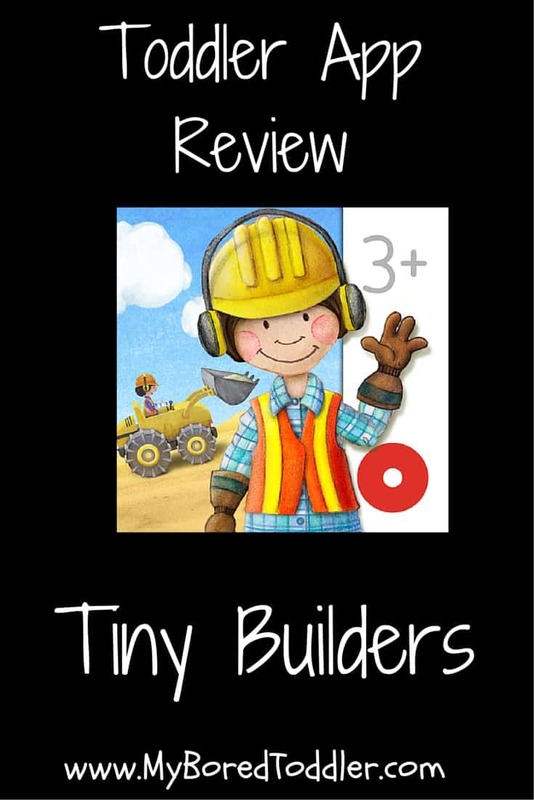 The Tiny Builders app from wonderkind couldn’t have been released at a better time. This is such a fun app for young children, designed for children aged 3 and up (I would actually say that an older 2 year old would really enjoy it too). It is very easy to use, ad free (a must with toddler apps), and educational too! My daughter loved being able to customize the builder, changing almost everything about him or her. As a mother, I loved that the builder could be male or female (and stylish too!). Your child can choose from a variety of machinery to operate, and this is a great fun way to see what each machine does, and how it operates (questions I have been getting a lot lately!). The app is easy to operate, and not at all complicated for little fingers. Building their own skyscraper was a lot of fun, especially as we’ve been watching some of these being built around our area. By operating the crane, your child can drop the parts of the building in their desired location to make their building. I had a few of my friend’s children play and review this game too, and we found that the dump truck was probably the most popular part of the whole game. Boys and girls, it really didn’t matter. Dumping things out of a truck is just fun! My daughter and her friends have loved playing with this app. It’s perfectly designed for toddlers and preschoolers (I would recommend for age 2 1/2 and up, although my 18 month old enjoyed having a go too), and is very easy to use. You can see more of the Tiny Builders app in the video below. The app is available for around $2 (the price depends on your location/currency conversion) and it is money well spent. I am always happy to pay for quality, ad free, educational apps and this one certainly fits that bill. 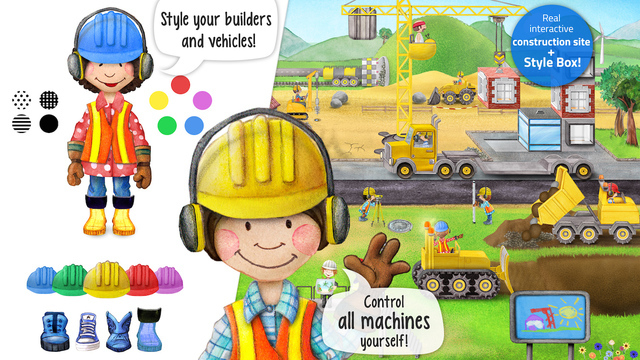 Tiny Builders can be downloaded now for iPhone or iPad. My son loves building things! I’d better try this app for him. Thanks Tina – it’s a lot of fun! This looks so fun. Maggie is always asking for “new pictures” (AKA new apps). Thanks for the review!